New Coke VS. New Libraries and Lessons Learned? 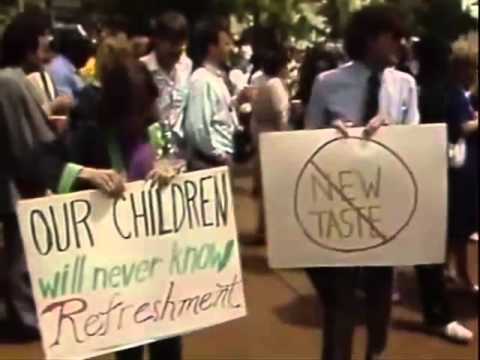 In 1985 the Coca-Cola Company realized that its market share had fallen almost 25 percent and wanted to do something new to compete with Pepsi. They decided that they would release a sweeter version of Coca-Cola that, in blind taste tests and focus groups, did far better than both Pepsi and the original Coca-Cola flavor. They called it New Coke. However, New Coke is generally regarded as one of the largest marketing and product flops ever and while millions of dollars were spent marketing and producing the product, it was quickly taken off the market. In fact, it was such a flop, that over 400 thousand people wrote letters to the Coca-Cola Company to complain about the new soda. The big problem was that while Coca-Cola did their due-diligence on the flavor and idea of New Coke, they completely overlooked the brand identity that Coke had cultivated over its long history. Currently libraries are in a state of fluctuation where we are competing with organizations like Amazon, Google, and the emergence of eReaders. In many places libraries are rushing to catch up with new and innovative collections, exciting maker-spaces, on demand printing, and less quiet areas and proudly marketing themselves as community centers and creative spaces. However, in many cities the libraries are seeing a pushback from these changes and in some cities a strong resistance is growing. The problem is that many people still believe the brand identity of a library being quiet study spaces and entirely about books on the shelves. What could Coke have done differently? Many brand managers argue that had Coca-Cola not tried to change their formula overnight with a large ad campaign and quick change and instead simply slowly increased the amount of sweetener and slowly changed their formula without the large ad campaign, they would have been much more successful. They might have also been more successful if Coke had also just increased their regular marketing campaign without loudly proclaiming that they’ve changed. In the end, they would have wound up with a better tasting soda and a larger market share by implementing a slower change and less marketing about how much it has changed. It is possible that libraries are making the same mistake that Coca-Cola did with New Coke. We know through research from PEW that communities largely support libraries and that they largely support libraries based on their “nostalgia” (I would argue that nostalgia=brand identity) for libraries. 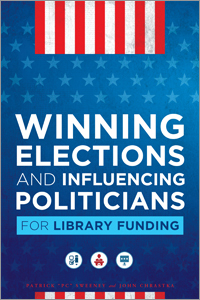 When we work with campaigns in communities as EveryLibrary we often see the nostalgic idea of traditional libraries and the resistance to the new idea of librarianship in the campaign messages of the opposition. It’s possible that we could be pushing quickly for a change and boasting loudly about that change before people are ready to give up their old brand identity of the library. So what can we do? I think we already know that libraries have to adapt and change to the needs of our community and I think we also know that we need to improve and drastically increase our marketing and advocacy. My solution is to copy what Coca-Cola should have done and use the nostalgic brand of librarianship to bring people into the library to experience the small changes that libraries have made over the years in order to slowly update that nostalgia. I think the wrong solution is to do what Coca-Cola did and suddenly and heavily advertise that the library is completely different than what people grew up loving. 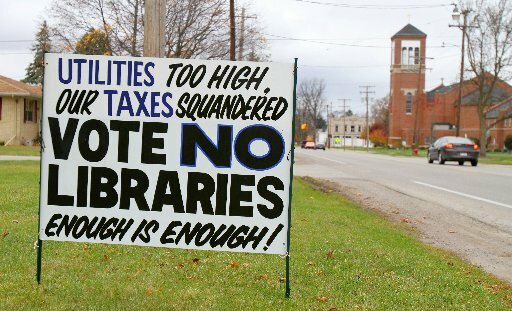 We have seen libraries try to quickly tell their communities that the library is different and we have seen them met with a lot of resistance, anger, and opposition. In Sunnyvale we are doing this in large part through our Facebook Ads and our Email Campaign. We have put $100 a week (we have 140k Sunnyvale residents) into Facebook ads and we are actively building our email list. We keep a strong base in the book brand with a lot of the posts and we occasionally slip in the updated idea of libraries. We heavily promote our books and “traditional” resources while casually mentioning some of the things that people can get beyond books. We have had huge success with this model with more people coming to the library for our innovative programs, drastic increases in digital collection use, and more foot traffic in general while we also haven’t seen much pushback when we add more to the library like 3d printers, seed libraries, and louder group work spaces. If you want to see exactly what our posts are like, feel free to take a look at our Facebook page. If you need more content for your ads, check out Ben Bizzle and Jeannie Allen’s Library Facebook Images Dropbox. 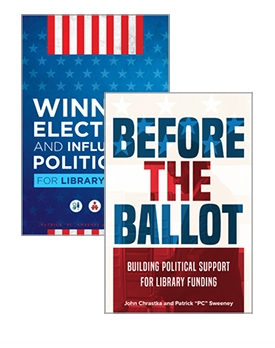 Previous PostVote For My Staff’s Amazing Conversation Starters at ALA San Francisco.Next PostLeaving California and Traditional Library Work!